The OCT scanner uses light waves to create detailed images of underlying retinal structures. 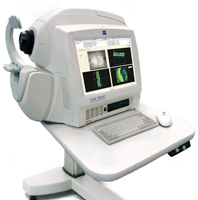 Using the OCT scanner we can more specifically diagnose, treat and manage glaucoma and retinal diseases including diabetic retinopathy and macular degeneration. OCT stands for optical coherence tomography and is a complex technology used to measure the eye and particularly the layers of the retina. The retina is the light sensitive area at the back of the eye, equivalent to film in a camera or charge-coupled device in a digital camera. An OCT scan is similar to an MRI or CAT scan for the eyes. The OCT scanner can image in 3D allowing us to see, sometimes for the first time, problems within your eye that could not easily be seen before. Only 10 years ago OCT technology was mainly used in research, but recent advances in the technology have brought this to the forefront of the eyecare industry. This revolutionary technology is quite common in eye hospitals but this top level of care is available in only a few private consulting rooms or high street optometry practices. 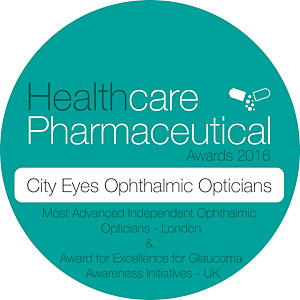 City Eyes have invested a large amount of money to ensure that the very best technology is available to protect your eyesight now, and in the future. Introducing the revolutionary Zeiss GDx™ exam – It’s like no other test, because glaucoma is like no other disease. 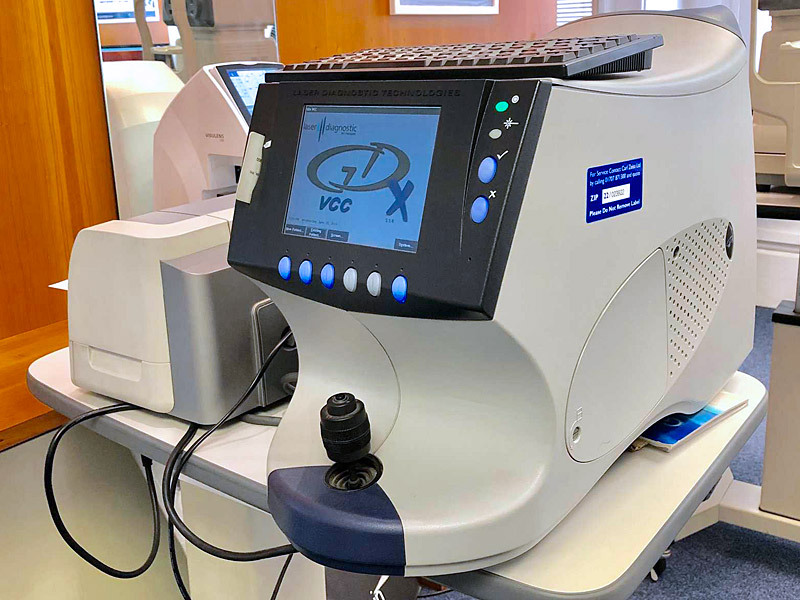 What makes the Zeiss GDx exam so revolutionary? Unlike the puff test, the Zeiss GDx exam actually lets your doctor see the pattern and thickness of the nerve fibres in the back of your eyes, then compares the results to normal values. If your nerve fibres are thinner than normal, this could indicate glaucoma long before any vision has been lost. As a result, we will have more time to treat the disease. How does the Zeiss GDx exam work? The test is a quick and comfortable part of a complete eye exam. Plus, you don’t have to have your pupils dilated. You simply look into the Zeiss GDx system while it safely scans the back of your eye. Total exam time usually takes less than a minute, and the system creates easy-to-read images that we can quickly analyse. 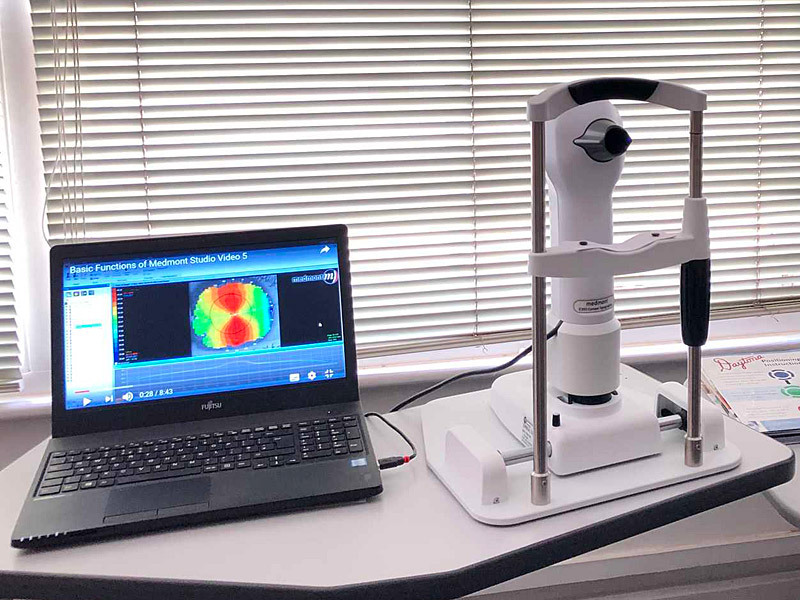 Our practice aims to deliver the highest standard of optometric eye care possible, and to that end we have acquired the latest and best non-invasive eye scanner – Optomap. The Optomap Retinal Examination system enables our consultants to detect, monitor, treat or refer eye and general health conditions. There are two parts to the eye examination, the first being to determine the focusing error of the eye, sometimes described as finding the spectacle prescription, and the second part is to determine the health of the eye. In this second part, among other eye problems, the practitioner looks for cataracts, glaucoma, and retinal changes. The retina is the image capturing system of the eye. It is like the film in a camera, while the cornea and lens help to focus the image onto the retina, like the camera itself. The retina lines the inside of the globe, extending from the back of the eye, all the way forward to the sclera at the front of the eye, which is the white of the eye seen in a mirror. A practitioner viewing the retina in a routine eye examination, views mainly the retina at the back of the eye, the central 30 degrees, as this is the most important part of the retina and the easiest area to view. The practitioner will then have the patient move their eyes around to view the peripheral retina, but even so will only manage to view out to about 45 degrees. The Optomap Retinal Examination is a step up in eye care. It enables the practitioner to view 200 degrees of the retina, all at once. The retinal image is first captured by the scanning laser ophthalmoscope. Then, using specialist software, it is viewed together with the patient on the computer screen (pictured here on the left). The practitioner can enlarge the image to closely examine the retina and optic disc, and can also view the superficial and deeper layers of the retina to determine where a retinal lesion is located. The peripheral retina can have detrimental changes which give no warning signs to the patient. Recently Charles Babumba referred a patient for an early retinal detachment in the far periphery, as captured by the Optomap. The patient had no complaints about his vision, and thus had he not had an Optomap scan, the problem might have been overlooked. The Optomap Retinal Examination offers patients extra insurance that the health of their eye is good. It is a procedure which all patients, including children, should undergo to ensure that they are not suffering from unknown problems of the eye. It enables early detection and management of eye problems, and sometimes other problems of the body, instead of waiting until troublesome symptoms occur. It is a method of preventative eye care, one which we believe will become the standard of eye care in the future. It is a procedure that we firmly believe in, and hope that you will too.